See our complete list of bird watching spots in NY, where you can behold beautiful and exquisite varieties of birds. For NY birding at its best, browse through our selection of parks and other outdoor venues that reward you with picturesque views of the majestic creatures. Enjoy the finest New York birding in one of the five boroughs and other parts of the great state of NY. A Wonderful Bird Watching Club in New York! Founded in 1909, the Brooklyn Bird Club is a growing organization with approximately 150 active members. The club's mission is to promote bird watching in NY, allowing birders of all levels to share the enjoyment of witnessing these beautiful winged creatures soar through the air. The club also better educates the community about birds and fosters an appreciation for natural resources. Members of the group conduct presentations for scouting and school groups, as well as other community organizations. New York's Prospect Park serves as a homebase for many of the club's activities. About 270 species of birds have been found within the famous park. Home to over 330 Species of Birds! 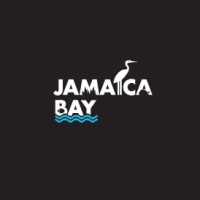 The Jamaica Bay Wildlife Refuge is home to one of the greatest bird sanctuaries in the Northern United States, and remains one of the best places in New York to view migrating species. With more than 330 bird species found at the refuge over the last 25 years, Jamaica Bay is an NY bird watching haven. The refuge also houses a lovely array of native reptiles, amphibians, small mammals, over 60 species of butterflies, and a large population of horseshoe crabs. Besides bird watching; activities like kayaking, sailing, nature walks, exhibits, lectures, and cruises can be enjoyed at the site. A Fun Indoor Aviary in New York! 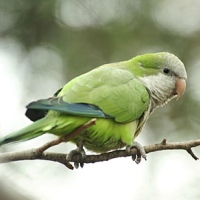 If you visit the World of Birds at the Bronx Zoo; you'll get to view blue-bellied rollers, helmeted curassows, Cuban Amazon parrots, and other beautiful species of birds. Meet birds from all around the world and keep track of your favorites. If you have any questions about the birds, the zookeepers will be more than happy to answer them for you. The indoor, walk-through aviary is open year-round. Log onto the Bronx Zoo website to view detailed profiles of species like the Bali Mynah and the white-throated bee-eater. One of the Top Bird Watching Spots in New York! Enjoy NY birding at its best at the Pine Barrens in Riverhead! Grab your binoculars, head out into the woods, and behold the many wonderful species of birds. Nearly 300 diverse species have been documented at the Pine Barrens. 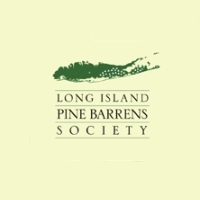 Since the area is ideal for hiking, the Long Island Pine Barrels Society hosts several group hikes throughout each year. 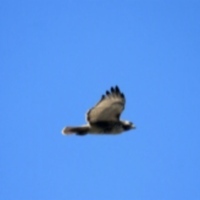 Each hike is led by an expert naturalist, who will educate you on the variety of bird species. To inquire about the group hikes, log onto the website and fill in your contact information, so you can be added to the mailing list. Bird Watching in New York's Largest Park! Within New York's largest and most famous park, you'll find about 230 different species of birds throughout the year. Some birds live in the park all year long, while others tend to make sporadic visits. Since the birds are most active in the early morning and late afternoon, those are the best times to go. If you come during the late spring or summer; you'll find birds building nests, laying eggs, and raising their young. The Central Park Conservancy offers Discovery Kit backpacks which are available to borrow free of charge. Kits are available Tuesday through Sunday from 10 A.M. to 3:30 P.M. and each one contains binoculars, a guidebook, maps, and sketching materials. Visit the website for additional information. Explore some of the Rarest Birds in New York! Located along the Atlantic Flyway for North American bird migration, Prospect Park is one of the great bird watching spots in New York. Over 200 species of birds have been spotted in the park yearly. 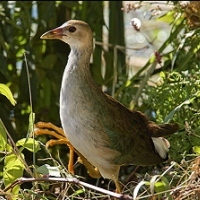 You'll even find some of the rarest birds--like the Pied-billed Grebe, the American Bittern, and the Saw-whet Owl. 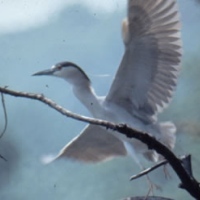 Other common inhabitants include the yellow-bellied Sapsucker, the Green Heron, the red-tailed hawk, and 18 species of ducks. 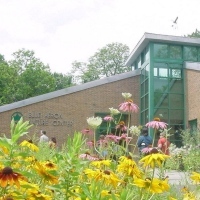 Every Saturday from 12 to 1:30, free bird-watching tours are hosted by the Audubon Center. Learn detailed information about all the park's winged inhabitants. Blue Heron Park was named after the gray-feathered, yellow-billed predatory bird that can be found throughout much of the New York City area. The Nature Center is right at the entrance of the park and contains several classrooms, exhibit areas, a library, and an office. Plus, you'll find two observation decks with bird feeders and a mist net for bird banding, making the area a perfect New York bird watching spot. 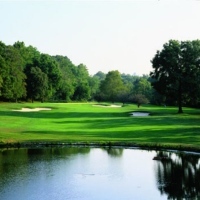 The park measures 147 acres and features wetlands, six ponds, streams, woodlands, and meadows. Once you're done bird watching, you can engage in other fun outdoor activities at the park like hiking and picnicking. 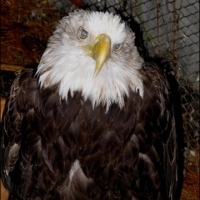 Support Disabled and Injured Birds in NY! The Berkshire Bird Paradise serves as a sanctuary for disabled and injured birds, giving them a safe haven to live and rehabilitate. Dedicated to educating people on the beauty of nature, Berkshire is one of the biggest bird sanctuaries in the country with over 1,000 birds and nearly 100 species. Unfortunately, about 40% of the birds on premises are permanently disabled and must remain in the sanctuary for the rest of their lives. Inside you will find golden eagles, bald eagles, peregrine falcons, raptors, owls, hawks, seagulls, emu, and chickens. The admission fees go towards helping feed and care for all the birds. The sanctuary is open 7 days a week, from mid-May until the end of October, depending on weather conditions. Explore Several Unique Bird Communities! If you're looking for places to go bird watching in New York, stop by Van Cortlandt Park in the Bronx--New York City's 4th largest park! Within the park, you'll find several sections with their own unique bird communities. All together, you'll discover about 240 species, including the distinct "Eurasian" Green-winged Teal subspecies. A short loop that borders Van Cortlandt Lake and its associated wetlands, The John Kieran Nature Trail is one of the best spots in the park for bird watching. 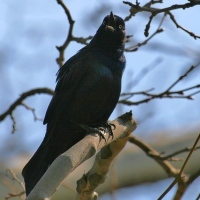 Log onto the Van Cortlandt Park website to view videos of the park's beautiful bird watching spots. Other activities at the park include hiking, biking, running, basketball, baseball, golfing, horseback riding, soccer, tennis, handball, football, fishing, and more! View Dozens of Species of Birds! 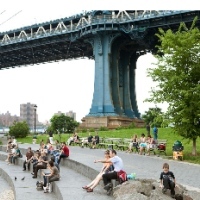 One of the best bird watching spots in New York, Brooklyn Bridge Park allows you to view dozens of species of birds as they make their home near the beautiful waterfront park. You'll also find dozens of bird stopping in the park on their migrations. The rich variety of birds spotted within the park includes songbirds, water birds, and birds of prey. Bird watchers have counted at least 60 species of songbirds at the park's cove. Mallards and Canada Geese swim in the cove throughout the year, joined in winter by the Black Ducks of inland waters and the Brant--geese that only live along the coasts. Other water birds and raptors that are spotted frequently in the park include Herring Gull, Ring-billed Gull, Double-crested Cormorant, and Peregrine Falcon. A Locally Renowned Bird Watching Spot in NY! A large county park with 2,500 acres of woodlands, ponds, wetlands, and glacially created landforms; Mendon Ponds Park contains some of the best birding in New York. In the wetland areas you'll find such birds as the wood duck, red-winged blackbird, blue heron, Canada goose, Virginia rail, sora, and the American coot. In the winter, you can feed the chickadees by letting them take seed right from your hands. Headquartered near the park's southwestern edge is Wild Wings, a non-profit organization that houses and cares for permanently injured birds of prey. 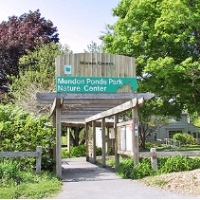 Other activities at Mendon Ponds Park include biking, boating, camping, cross-country skiing, fishing, hiking, running, kayaking, canoeing, rugby, sledding, and snowshoeing. Bird Watching and Bird Walks in NY! With 39 acres of habitats that include woodlands, wetlands, and meadows; Queens Botanical Garden is a prime spot for bird watching in New York. The multitude of resident and migrating birds found at the garden include the American goldfinch, black-crowned night heron, brown thrasher, cardinal, Carolina wren, common yellowthroat, downy woodpecker, grey catbird, red-winged blackbird, ring-necked pheasant, ruby-crowed kinglet, and more! QBG offers bird walks throughout the year. Check the website's Calendar of Events for more information. The park's birding page also includes a complete list of birds that have been spotted at the garden, as well as photos of them.